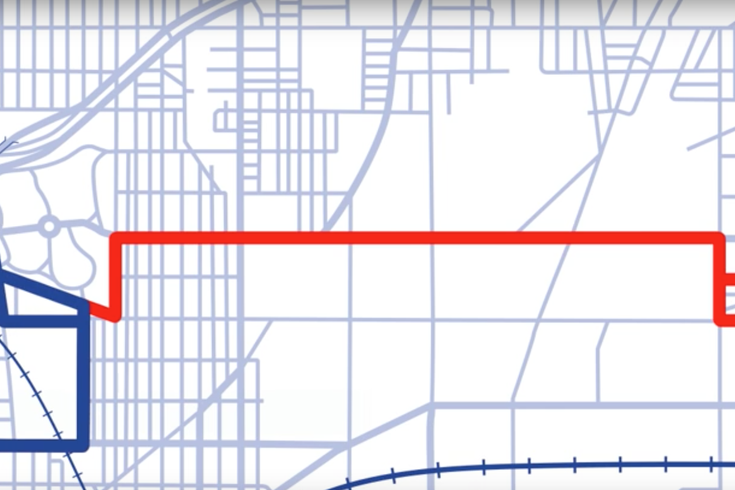 The red line shows where SEPTA's Route 53 bus will extend to along Hunting Park Avenue starting Sunday, Feb. 21. Passengers riding on SEPTA's Route 53 Bus will be able to go farther into Juniata Park after an extension goes into effect Sunday. According to SEPTA, starting Feb. 21, the route will now go down Hunting Park Avenue to G Street for selected trips. Several stops along the addition intersect with other bus routes and provide service to a number of schools, businesses and doctors' offices. The extension follows a revitalization of the area along Hunting Park Avenue, the Philadelphia Inquirer reports. The additional service will serve as an important asset to residents who rely on public transit to attend medical appointments, and will also help draw tenants to still vacant warehouses along the stretch of road, according to the newspaper. For more on the route extension, check out more from SEPTA here.